Under pre-Act law, the work opportunity tax credit (WOTC) allows employers who hire members of certain targeted groups, including qualified veterans, to get a credit against income tax of a percentage of qualifying first-year wages up to $6,000 per employee ($12,000 for certain qualified veterans; and $3,000 for qualified summer youth employees). Generally, the percentage of qualifying wages is 40% of first-year wages, for a maximum WOTC of $2,400 (.4 × $6,000), or $4,800 for certain qualifying veterans (.4 × $12,000); it’s 25% for employees who have completed at least 120, but less than 400, hours of service for the employer. Different rules apply for recipients of long-term family assistance. The individual must begin work for the employer before Jan. 1, 2012 for the WOTC to apply. 1. The individual is a member of a family receiving assistance under a food stamp program under the Food Stamp Act of ’77 for at least three months, all or part of which is during the 12-month period ending on the hiring date. (b) has aggregate periods of unemployment during the 1-year period ending on the hiring date that equal or exceed six months. A “veteran” is an individual who is certified as having either served on active duty (other than for training) in the U.S. Armed Forces for more than 180 days, or must have been discharged or released from active duty in the U.S. Armed Forces for a service connected disability. However, individuals serving on active duty for more than 90 days (other than for training) must be further certified as not having served any of the active duty during the 60-day period ending on the hiring date. A hired individual won’t generate a WOTC unless one of the two following conditions is satisfied: (a) on or before the day he begins work, the employer has received a certification from the “designated local agency” that the individual is a member of a targeted group. The certification must be in writing and state that the individual is a member of a specific targeted group; (b) on or before the day the individual is offered employment, the employer completes a pre-screening notice for the individual and submits the notice (signed by the employer and the individual under penalties of perjury), not later than the 28th day after the individual begins work for the employer, to the designated local agency as part of a written request for a certification. If an employer uses the latter approach, it also must receive a certification from the agency that the individual is, in fact, a member of a targeted group before claiming the WOTC for hiring the individual. Under pre-Act law, the WOTC is not available for tax-exempt employers. New law. 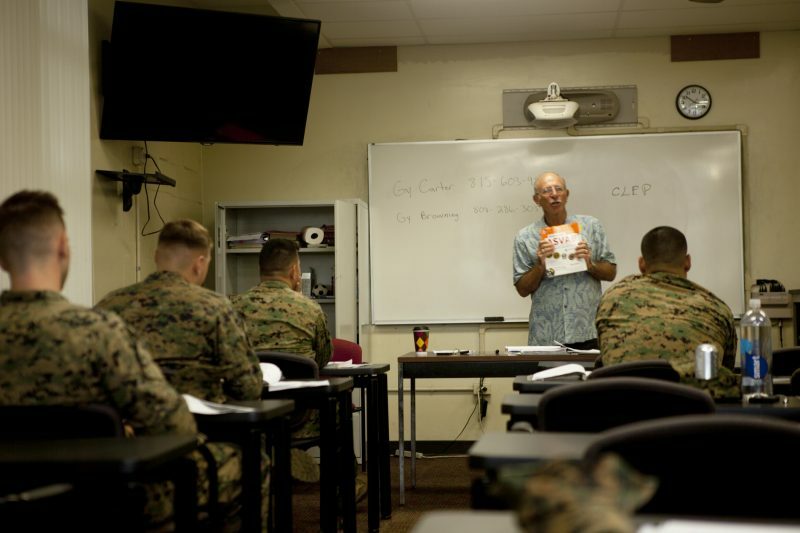 The Act extends the WOTC for hiring qualified veterans, broadens the classes of qualified veterans and increases the WOTC for hiring some of them, “fast-tracks” the qualification process for qualified veterans, and provides tax-exempt employers with a credit against payroll tax for hiring qualified veterans. RIA observation: In other words, the WOTC gets a one-year lease on life, but only with respect to employers that hire qualified veterans. RIA observation: The Act adds the third and fourth categories of qualified veterans but leaves the first two categories unchanged. (A) $12,000 for an individual who is a qualified veteran under Code Sec. 51(d)(3)(A)(ii)(I), i.e., is entitled to compensation for a service-connected disability and has a hiring date that isn’t more than one year after having been discharged or released from active duty in the U.S. Armed Forces. RIA observation: Thus, the maximum WOTC for hiring qualified disabled veterans in Category A is $4,800 (.4 × $12,000 maximum qualifying first-year wages). RIA observation: The maximum WOTC for hiring qualified veterans in this category is unchanged from pre-Act law. (B) $24,000 for an individual who is a qualified veteran under Code Sec. 51(d)(3)(A)(ii)(II), i.e., is entitled to compensation for a service-connected disability and has aggregate periods of unemployment during the 1-year period ending on the hiring date which equal or exceed six months. RIA observation: Thus the maximum WOTC for hiring qualified disabled veterans in Category B is $9,600 (.4 × $24,000 maximum qualifying first-year wages). RIA observation: Thus the maximum WOTC for hiring qualified veterans in Category C—i.e., longer-term unemployed veterans—is $5,600 (.4 × $14,000 maximum qualifying first-year wages). RIA observation: The maximum WOTC for hiring veterans who qualify under Code Sec. 51(d)(3)(A)(i) (i.e., food stamp recipients) stays unchanged at $2,400 (.4 × $6,000). RIA observation: The maximum WOTC for hiring veterans who qualify under the new category in Code Sec. 51(d)(3)(A)(iiii) (i.e., veterans who are unemployed for four weeks or more, but less than six months) is determined under the general rule for computing the credit, and is $2,400 (.4 × $6,000). RIA observation: The enhanced maximum amounts of qualifying wages also would seem to apply if the qualified veteran completes at least 120, but less than 400, hours of service for the employer during the one-year period beginning with his or her hire date. For these reduced hours, a reduced credit percentage (25%) applies under Code Sec. 51(i)(3)(A). RIA illustration : On Jan. 3, 2012, ABX Inc., hires Jack, a highly skilled computer programmer. Jack is a qualified veteran who is entitled to compensation for a service-connected disability, and had total periods of unemployment during the 1-year period ending on the Jan. 3, 2012 hiring date of six or more months. During 2012, the veteran only works 385 hours and is paid a total of $15,400. Under the Act, for 2012, ABX would seem to be eligible for a WOTC of $3,850 for hiring Jack (.25 × $15,400). If he were paid a total of $24,000, the WOTC for Jack would be $6,000 (.25 × $24,000). RIA observation: The credit that a tax-exempt employer can claim applies to the four categories of qualified veterans under Code Sec. 51(d)(3) (see above). Thus, it applies to both the old categories of qualified veterans and the new categories created by the Act. RIA illustration: In 2012, a tax-exempt organization dedicated to eradicating cancer hires Tricia, a disabled veteran, as a statistical analyst, and pays her $50,000 a year. Tricia was out of work for nine months before being hired by the organization (and thus is a qualified veteran under Code Sec. 51(d)(3)(A)(ii)(II)). The organization can reduce its 2012 OASDI bill by $6,240 (.26 × $24,000). Under Code Sec. 6331(h)(1), IRS can “continuously levy” (i.e., from the date the levy is first made until it is released) up to 15% of certain “specified payments” to or received by a taxpayer. Specified payments include any federal payment for which eligibility isn’t based on a payee’s income and/or assets, worker’s compensation payments, unemployment benefits, and other specified types of payments. Under pre-Act law, IRS could, under Code Sec. 6331(h)(3), continuously levy up to 100% of specified payments due to a vendor of goods or services sold or leased to the federal government. RIA observation: A nearly identical provision was included in the Small Business Penalty Fairness Act of 2009, which passed the Senate by unanimous consent but never became law. For tax years ending after Dec. 31, 2013, there’s a premium assistance tax credit under Code Sec. 36B, for eligible individuals and families who buy health insurance through an exchange. The premium assistance credit, which is refundable and payable in advance directly to the insurer, subsidizes the purchase of certain health insurance plans through an exchange. The premium assistance credit is available for individuals (single or joint filers) with household incomes between 100% and 400% of the Federal poverty level (FPL) for the family size involved who do not receive health insurance through an employer or a spouse’s employer. Under Code Sec. 86, part or all of the Social Security income received by a taxpayer is excluded from income. New law. The Act revises the Code Sec. 36B definition of MAGI to include the amount of the taxpayer’s Social Security benefits that is excluded from gross income. Thus, for purposes of the premium assistance credit, MAGI is defined as adjusted gross income plus: (1) any amount excluded by Code Sec. 911 (exclusion from gross income for citizens or residents living abroad); (2) any tax-exempt interest received or accrued during the tax year; and (3) the amount of Social Security benefits of the taxpayer that is excluded from gross income under Code Sec. 86. (Code Sec. 36B(d)(3)(B), as amended by Act Sec. 401(a)) The revised definition is effective on the enactment date (Act Sec. 401(b)), but since the premium assistance credit won’t apply until tax years ending after Dec. 31, 2013, the change applies for tax years ending after Dec. 31, 2013.